Populations of pollinating insects, such as monarch butterflies and bees, are considered a key indicator of overall environmental health. 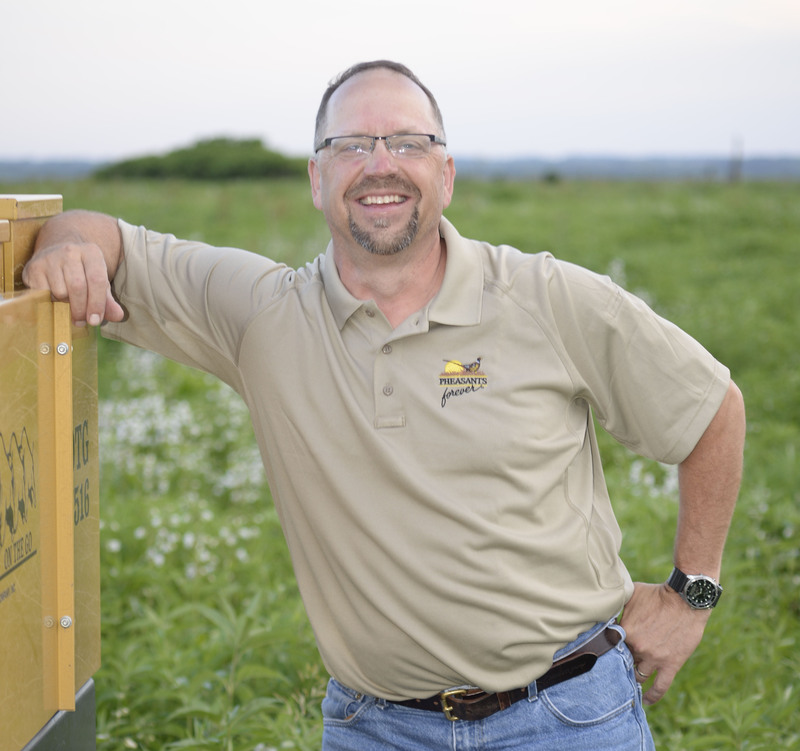 As director of habitat partnerships for Pheasants Forever, Berthelsen is working to turn as many acres of land as possible into nutrient-rich prairie smorgasbords for everything from bees to butterflies to pheasants to deer. The top seven honey-producing states in the nation, including South and North Dakota, have lost millions of acres of natural wildlife habitat to crop production, Berthelsen said. Berthelsen calls this transfer of land the “death by 1,000 papercuts”—small changes have amounted to big impacts over the years. As land is converted from grassland to cropland, pollinators have fewer places to live and less food to eat. In June 2014, President Barack Obama released a presidential memorandum that created a federal strategy to help bees and pollinators. The memo noted the sharp decrease in honey bee and monarch butterfly numbers. The monarch population hit all-time lows in 2013 and 2014. The decrease threatened the butterflies’ annual migration from the United States to Mexico. Disease, loss of foraging ground, pesticides, parasites, limited genetic diversity and poor nutrition caused a corresponding decline in the populations of commercial honey bees and native bees. The losses threaten the prosperity of an industry that adds $15 billion to U.S. agriculture. The pollination of California’s almonds—a $6 billion industry—is totally dependent on honey bees, Berthelsen said. The monarch is not as effective at pollination as the honey bee, but it is beloved and garners a great degree of attention when its numbers are threatened, Berthelsen said. The memo jump-started efforts to create and preserve pollinator habitats, Berthelsen said. Creating places they can gain good nutrition helps honey bees ward off other threats that are more difficult for humans to control. Berthelsen said the quest to use as much land as possible for farming has left wildlife with the scraps. If that’s what deer, pheasants and pollinators are down to, he said, those acres should be the best they can be. Farmers and ranchers have to benefit financially from conservation efforts, he said, or they won’t be sustainable. The federal Conservation Reserve Program, which will have funding for 24 million acres as of the 2018 fiscal year, provides that benefit. 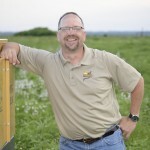 So does the Honey and Monarch Butterfly Partnership between Pheasants Forever; Project Apis m., which directs research to improve the health of honey bees and crop production; and Browning Honey Company, a commercial honey producer in the upper Midwest. The partnership began in the spring of 2015 and gives producers in North and South Dakota incentives to create pollinator habitat, including a three-year project guarantee, an annual $50-per-acre rental payment, a $15-per-acre planting incentive, and seed mixtures for honeybees and monarchs. The partnership also manages grazing and haying on project land. Berthelsen said those fields should bloom from early April until the beginning of October and should include a minimum of 12 kinds of grasses and 51 wildflowers. The seed mixtures Pheasants Forever distributes accomplish those goals. Pheasants Forever makes a similar mix for backyard gardens. 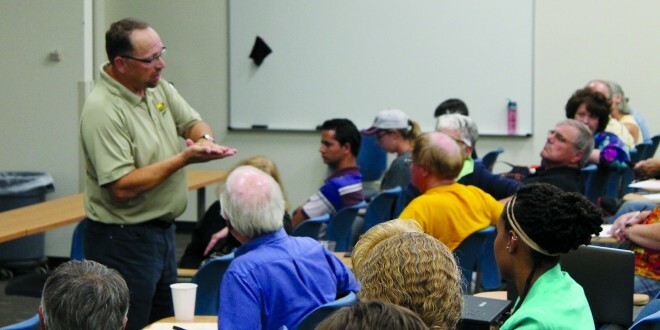 Mike Bjerke, a landowner in northern Clark County, attended Berthelsen’s speech to get ideas on controlling noxious weeds on his conservation land. His family’s efforts began in the 1970s, planting trees on parts of his property that weren’t producing well. He’s since put land in CRP, alfalfa and native prairie grass and food plots. In a hard winter, he has 200 to 300 deer and many pheasants shelter on his land. One of his neighbors has taken similar measures. Berthelsen’s goals include encouraging other farmers to be as concerned about pollinators as Bjerke, and creating more land that can sustain wildlife—a strategy that in the long run can help people, too. Previous: Is this thing on? Next: Dakota Local Food Challenge is underway!